It’s an ideal time to get involved in online video and live streaming—that is, if you haven’t already! In 2016, 81% of internet audience members viewed more live content than they did in 2015. And the same trend has continued in the following years as well. While this year’s just begun, 2019 will almost certainly show similar growth. Given this ongoing trend, a video live streaming service is an essential tool for anyone looking to start broadcasting live. 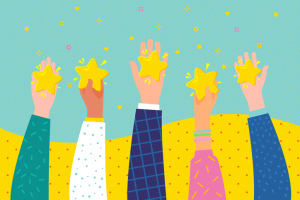 In this article, we’ll review three top video live streaming service providers for 2019. Specifically, we’ll consider DaCast, IBM Cloud Video, and Vimeo Live (Livestream). For each platform, we’ll consider and compare platform history, key features, and pricing plans. Lastly, we’ll also throw in a few tips around major trends for streaming live video for 2019. Let’s get started! 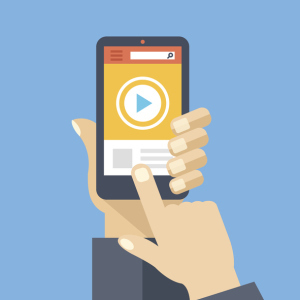 A video live streaming service (sometimes called an Online Video Platform, or OVP) is the fundamental link between your video content and your targeted audience. Simply put, this service functions like a Swiss Army Knife for online video. An OVP typically provides tools for live video and video-on-demand. Additionally, OVPs offer a wide range of streaming solutions to help maximize your video efforts. As you may know, there are many video live streaming service providers on the market. To be honest, it can be overwhelming to review and compare all of them. In today’s market, consumers simply face too many choices. On top of that reality, most platforms are B2C services (free, consumer-grade) that aren’t suitable for professional users. To help narrow down this market, we’ve picked out the best choices for a professional video live streaming service. These services have all accelerated throughout 2018 and into 2019. Now, let’s see what each video live streaming service has to offer! DaCast was founded in 2008. Since then, it has morphed into a top Streaming-as-a-Service (SaaS) business that has signed up more than 114,000 broadcasters. Major DaCast clients include television stations, OTT companies, large enterprises, faith and religious organizations, educational institutions, governments, and more. DaCast offers monthly subscription plans and a pay-as-you-go formula. Regarding the monthly subscription plans, the Starter plan, at $19 per month, is ideal for casual streamers or those just getting into broadcasting. The Premium plan, at $125 per month, adds video API and monetization options. These tools are ideal for professional broadcasters, along with the option to use chapter markers for VODs. Lastly, the Enterprise plan provides more bandwidth and are customizeable, all at competitive prices. For users who only stream occasionally, a good alternative option is “Event Pricing.” This approach is our pay-as-you-go formula. In this model, users purchase access to a given amount of bandwidth with absolutely no commitment. IBM Cloud Video is a result of the IBM’s acquisition of UStream in 2016. This marked the merger of the two businesses. Today, IBM Cloud Video provides a video live streaming service, alongside other cloud computing services. 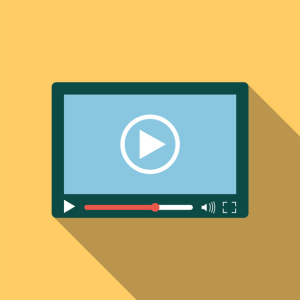 IBM Cloud Video’s core product is Streaming Manager. This streaming platform is managed via a standard dashboard. The platform also provides analytics and delivers content to any devices via an internal CDN. IBM Cloud Video divides its pricing plans into three levels. The Silver plan ($99 per month) includes basic features only. It remains UStream-branded (not white-label) and includes 100 ad-free viewer hours. The Gold plan ($499 per month) adds limited custom branding. The Platinum plan, at $999 per month, supports full branding control. All plans include broadcast recording and a mobile compatible video live streaming service player. Vimeo was launched in 2004 by a group of friends and filmmakers. Their goal was to create a new way to share videos with friends. Their service grew in popularity as an early YouTube competitor. Today, Vimeo is a video-on-demand platform whose users are mostly indie filmmakers, graphic designers, artists, and more. The company formerly called Livestream was founded in 2007 and based in New York. In 2017, Vimeo acquired Livestream. Vimeo’s video live streaming service component is relatively new and called Vimeo Live. We’ll review that service particularly here. Standard Vimeo pricing concerns the video on-demand service specifically. Vimeo Live is priced separately, and it is more expensive. Plans start at $135 per month for the Pro plan. Users receive a discount to $75/month when they pay annually. From there, Vimeo Live prices are all custom-priced and relatively costly compared to other OVPs. You should note that if you want to monetize your video content, you will be redirected to “OTT Vimeo.” This service has yet another range of plan levels, charged on a per-subscriber/per-month basis. Now that we’ve looked at top video live streaming services, let’s dive into a bonus section. 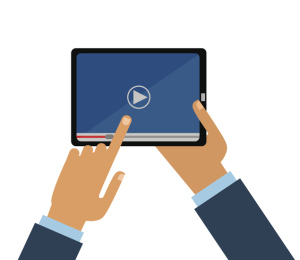 Here, we’ll looks a few major trends in online video and live streaming for 2019 and beyond! First, let’s talk about codecs. For about a decade, the preferred video codec was H.264. However, that standard has shifted in recent years. Apple devices now offer support for H.265 (also known as HEVC, high efficiency video coding). In short, H.265 represents the next generation in video codecs. However, AV1 may ultimately reign supreme over HEVC. AV1 promises even better quality—without any licensing issues. For now, most users will continue to use H.264. But this trend is shifting, and we anticipate that it will accelerate quickly from here on out. In fact, this shift is similar to the switch away from Flash. After just a few years, HTML5 became by far the preferred method for video playback. The second trend we’ll highlight here is the continued move towards 360º and VR (Virtual Reality) video. By 2019, these technologies have become more and more mature. Lack of bandwidth is one of the main reasons that these new technologies haven’t already been more popular for streaming. However, as new codecs become more popular, this technological limitation is becoming less of an issue. If you’re interested, you can check out an article from Selvz that we published in 2017, on the challenges of VR streaming. As we noted in the intro, choosing the right video live streaming service can pose a challenge. 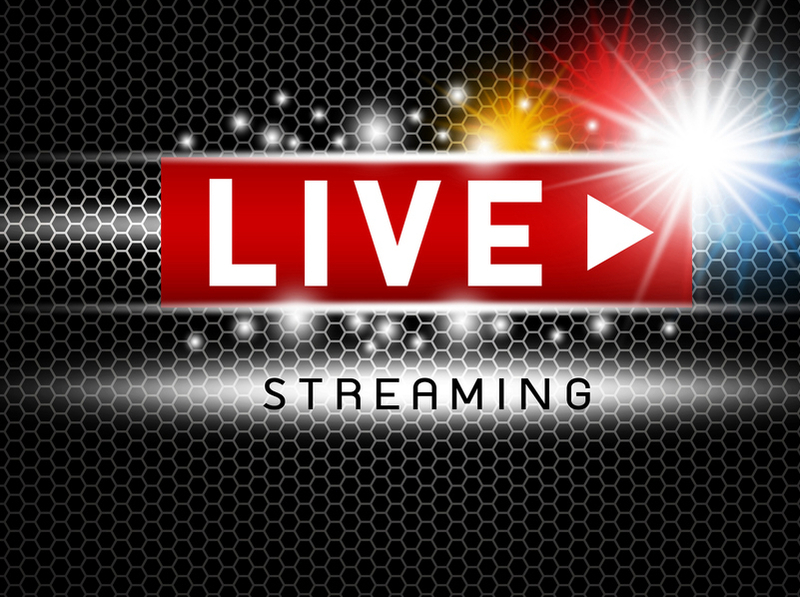 Ideally, the information in this article will help you to choose the right video live streaming service for you. That said, are you ready to test a video live streaming service to get your feet wet? You’ve come to the right place! You can start today with our 30-day free trial (no credit card required). To sign up, just click on the link below. You can be up and streaming in a matter of minutes! Any questions, comments, or ideas? Let us know in the comments section, below. We love to hear from our readers, and we will get back to you. Finally, for regular tips on live streaming and exclusive offers, feel free to join our LinkedIn group. Thanks for reading, and best of luck with your live streams!